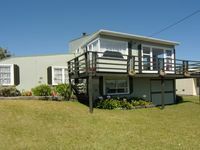 Properties in Waikawa Beach average 4.6 out of 5 stars. Property 10: Beautifully appointed self contained studio. Property 23: PEKAPEKA BEACH FRONT RETREAT IN RURAL SETTING. Property 26: HAPPY HAVEN has Kiwi Bach character with location.